I’m wearing the coolest outfit that was purchased at the Nastygal Melrose. Each piece was draped on a hanger on opposite sides of the boutique, but you can count on me to always put the puzzle together. 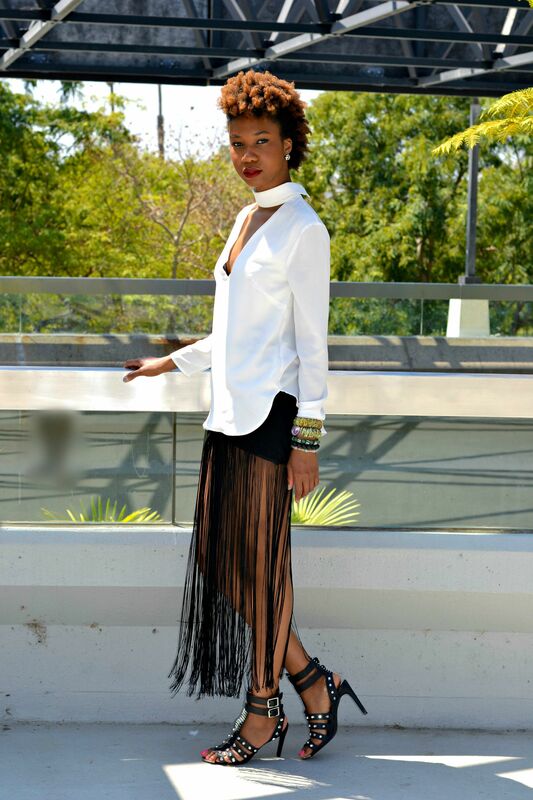 The cameo collective top for the chic and softer approach, and the asymmetric fringe skirt for the grunge. 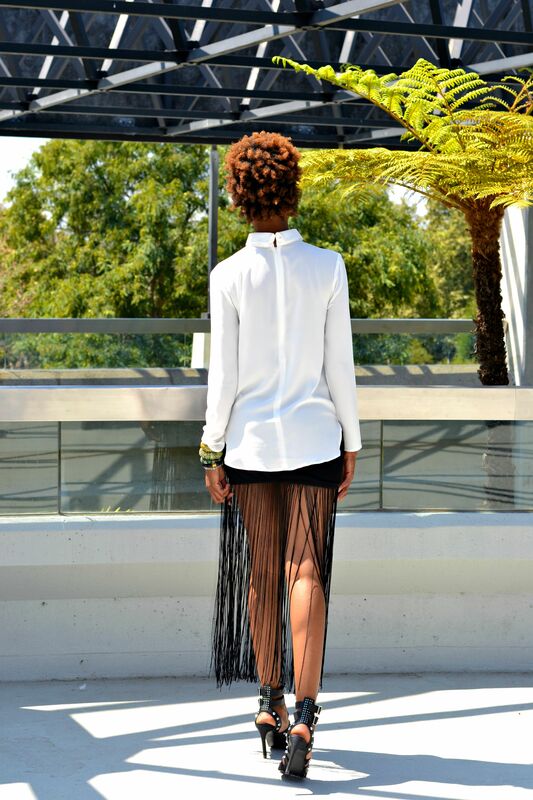 Complete the look with a mohawk inspired hairstyle and studded gladiator heels, and what do you have? Punk meets city girl.